In August 1945, the U.S. deployed the only two nuclear weapons to be used in warfare. “Little Boy” was dropped on Hiroshima on August 6 and “Fat Man” on Nagasaki three days later. At the time, Washington argued publicly that the bombings were necessary to force Tokyo’s capitulation. Japan surrendered on August 15, 1945. The two bombings killed more than 200,000 people. Hiroshima today is a memorial park and museum, the eerie dome skeleton of a former exhibition hall looming over the ruins. 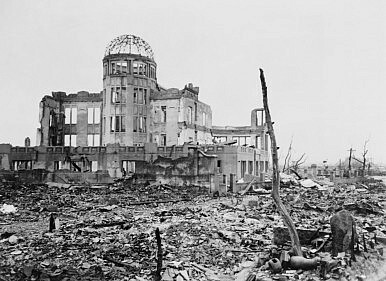 In 2009, Obama expressed interest in visiting the sites, saying that “the memories of Hiroshima and Nagasaki are etched in the minds of the world, and I would be honored to have the opportunity to visit those cities at some point during my presidency.” Already in 2016, U.S. Secretary of State John Kerry and U.S. Ambassador to Japan Caroline Kennedy–the daughter of former President John F. Kennedy–visited Hiroshima. With less than a year remaining in his final term in office, Obama’s trip to Japan this month may be his last as a sitting president. U.S. presidents have long avoided visiting Hiroshima, fearful that the visit would be translated as an apology. This applies not only in an American context–Obama has long been criticized for going on “apology tours”–but also in Asia, where Japan has long been criticized for neglecting to apologize for its own wartime atrocities. Last August, Japanese Prime Minister Shinzo Abe delivered remarks on the 70th anniversary of the end of World War II in Asia. Japan’s neighbors–particularly Korea and China–wanted Abe to apologize for Imperial Japan’s sins. The Abe statement pleased some and greatly disappointed others. Obama’s visit is primed to do the same. In his explanation of the rationale for the visit, Ben Rhodes, a White House adviser, highlighted President Obama’s “personal commitment” to nonproliferation. The crown jewel of that initiative is the Iran Deal, but North Korea is perhaps an even more worrisome potential nuclear power. Pyongyang just finished its first party congress in 36 years on the heels of almost monthly provocations–nuclear and missile tests. Japan and the United States have a strong relationship today–economically, politically, militarily– something few would have predicted during World War II. The old enemies have become fast friends. Correction: An earlier version of this story fumbled the names of the two nuclear bombs dropped by the U.S. on Hiroshima and Nagasaki–this error has been corrected.